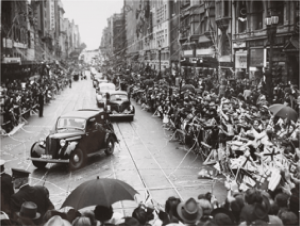 Think you can imagine what Melbourne was like in the 1940s? 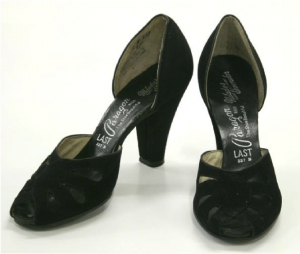 If you’ve conjured up jazz music, suede high heels and shiny black Buicks, you’re half right. Yes, Glenn Miller’s In The Mood was getting regular airtime, and Cecil B. DeMille was enjoying cinematic success, but the majority of 1940s life in Melbourne was far from glamorous. In fact, it was downright austere for the most part. 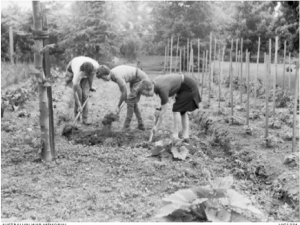 The city’s 1.1 million people were living in the long, dark shadow of the second world war. One in ten Victorians was either deployed or enlisted, and those that remained were battling the effect of over a decade of financial depression. 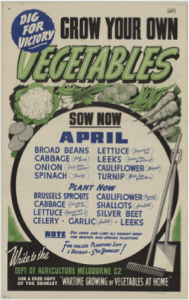 Although organised crime had been somewhat subdued, the city was the subject of a government-led slum-removal program, and citizens were strongly encouraged to ‘dig for victory’ by growing their own vegetables. The first ‘Four and Twenty’ pies were about to roll off the production line in Bendigo, but many people were struggling to put basic food on the table. And then there were the rations. Beer and sugar were just two of life’s little luxuries 1940s Melburnians would often go without. As a kid living in these times, two things were clear: sharing and recycling were part of everyday life. 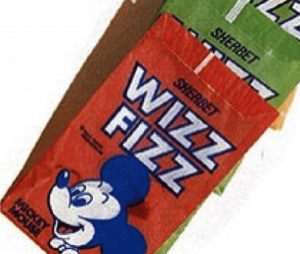 When Wizz Fizz sherbet launched in 1947 (after rations became a thing of the past) these little Mickey Mouse packets made quite a splash. If you were lucky enough to get your hands on one, you can be sure sharing was non-negotiable. And your toys? 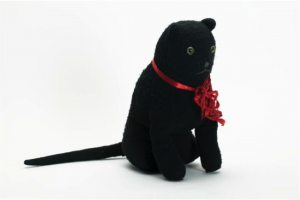 Australians may be the biggest spenders on children’s toys today, but as a kid in the 1940s your dolls and stuffed toys were made from recycled materials or given to you second-hand. 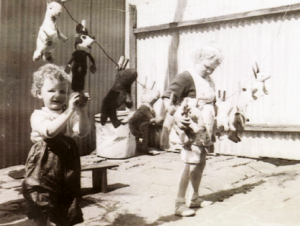 That’s why the opening of a store like Dafel Dolls and Bears in Block Arcade in 1941 was very nearly a life-changing event. Many a face was pressed longingly to the window, surveying the toy wonderland for kids and parents alike. If you were lucky enough to have a special bear or doll that was brought for you, the Dafel doll hospital was busy and open for expert repairs. After all, your doll or bear had to last many years of imaginary tea parties and real-life billy-cart riding. It’s just one more reminder of how much has changed, and then, how much has stayed exactly the same. Visit the Dafel Dolls & Bears store from 18 August at their new location at 234 Collins. Find out more via their Facebook page.